There isn’t a week that goes by where my Facebook feed doesn’t show a picture of a missing child, usually in conjunction with a warning about internet safety for kids. As a pregnant mama of twins and with three kids already at home, these stories cut me to the core. I imagine the heartbreak of these kids’ mothers as they struggle to understand what went wrong and how their child could have become a victim of an online predator. I also want to think this would never happen to our family. The reality is though, it happens everyday to “normal” families like yours and mine. 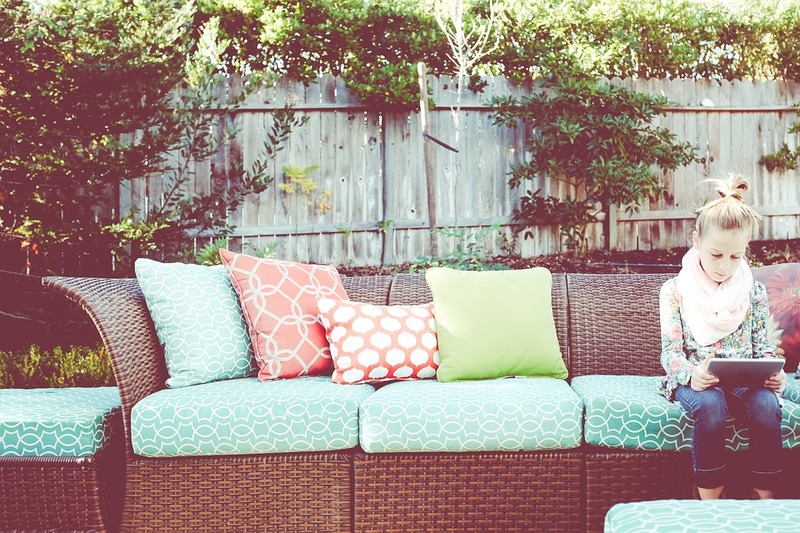 While my kids are still young, we do set parameters around screen time use in preparation for when they will begin needing to search online for school projects and when they’ll start asking about connecting with friends online through social media. My husband is more attuned to the dangers lurking online than I am, as he teaches life skills classes to at-risk middle and high school students weekly. The program includes the district attorney as a guest speaker to explain to the kids the dangers of unrestricted internet use and the implications their actions online may have legally or socially as they grow older. It’s a sobering talk! 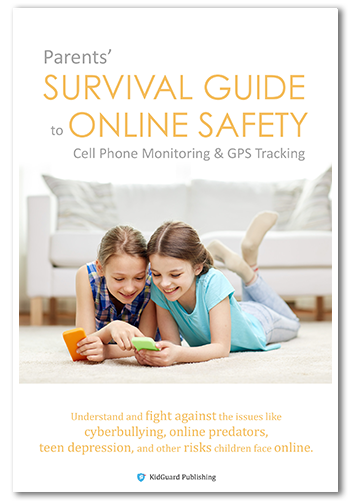 While I truly want to trust that my kids will follow our guidelines for using devices both in our home and when they are out with others, the truth is that this technology often provides more options and opportunities than their developing minds can appropriately process and handle with the maturity needed to stay safe online. That’s why I’m thankful for organizations like KidGuard, a company providing a software program that equips parents with tools to monitor their children’s activities online. 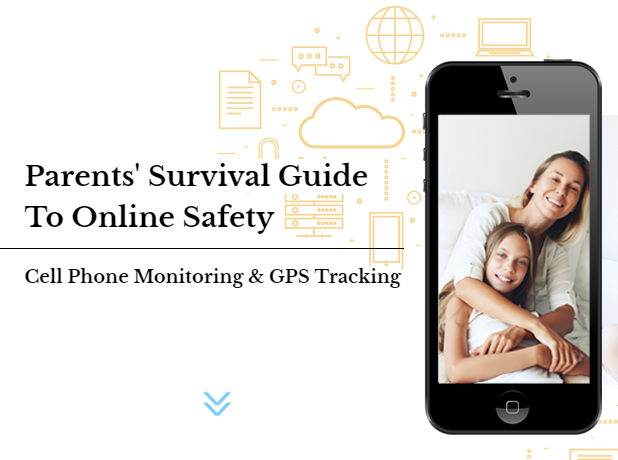 KidGuard provides a software for parents to monitor their children’s text messages, GPS location and phone logs allowing the parent to stay on top of issues such as cyberbullying, online predators, teen depression, and other risks to their children arising from the internet. Getting parents more involved with their children’s digital activities will prevent unforeseen dangers that children may face on a daily basis. We strive to help educate parents on how to protect their children from online threats while encouraging honest communication between family members. I particularly love the focus on encouraging honest communication between parents and children about the dangers online and how to stay safe while using the powerful tool that the internet is. The information in the parental guide is available topic by topic by clicking through each section individually on the site for more details, the PDF can be downloaded directly from their site, or the hard copy written version can be purchased on Amazon. If you’re not sure if the KidGuard service is right for your family, I’d encourage you to check out the live demo showing you how the service functions and the 7-day free trial. I was able to connect to the service and start viewing information in less than 5 minutes, so it’s definitely a simple process. Whether or not KidGuard is the right solution for internet monitoring for your family, I encourage you to take the important steps needed to keep your children safe online by starting the conversations now and by putting boundaries in place for online use in your home and with any devices your children may have access to. Disclaimer: This is a sponsored post created in partnership with KidGuard. All opinions are my own.